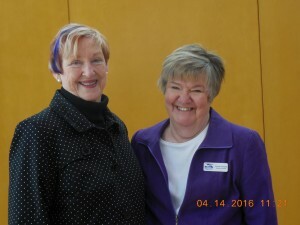 Social isolation is a health risk for seniors that often gets worse during the winter months. Frigid temperatures, difficult driving and walking conditions may limit opportunities for outings and socialization. These conditions can be especially difficult for the elderly and increase their risk of health problems, injuries, and loneliness. For more information click HERE or on the image above. The province is proud to celebrate Manitobans receiving Manitoba Council on Aging (MCA) Recognition Awards in recognition of their leadership, contributions and commitment to their communities, Health, Seniors and Active Living Minister Kelvin Goertzen announced today. The Recognition Awards ceremony has been held during Seniors’ and Elders’ Month since 1997, providing an opportunity to recognize Manitobans aged 65 and over who make extraordinary contributions to their communities. The minister noted a small but significant change was made to the MCA’s top award this year to highlight that both older men and women are leaders of their communities. After being known for 10 years as the Murray Smith Award, the MCA highest award will now be the Murray and Muriel Smith Award. 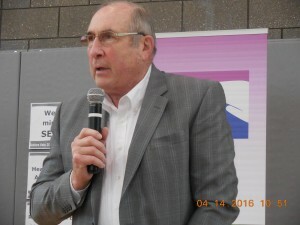 Goertzen said that just like the great Manitoba couple after which the award was named, its recipients are recognized for demonstrating outstanding qualities through volunteer service, advocacy, community influence and successful efforts in raising the profile of seniors. 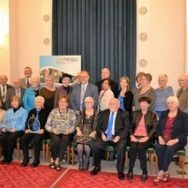 “These Recognition Awards shine a light on often unseen acts of service and the MCA is appreciative not only to the volunteers but also to the many Manitobans who have put the recipients names forward,” said Dave Schellenberg, chair, Manitoba Council on Aging. “It’s a wonderful way to say thank you and makes us all proud to be part of a helping community.” The 2016 MCA award recipients are; • Bernice Marmel (Murray and Muriel Smith Award); • Lois Abraham; • Diana Ateah; • Denise Balcaen; • Florence Bourgouin; • Muriel McPhail; • Rosemary Shackel; • Walter Siemens; and • Diane Truderung. Honourable mention certificates were awarded to: • Cécile Bérard; • Blanketing Manitoba; • Louise Chernetz; • Country Four (Luella Noble, Harvey Jellis, Perry Hallet, Elmer Hunter); • Phillippe Désautels; • Juliette Rowan; • Cory Juan; • Danny Rintoul; • Harold Simpson; • Felicity Trott; • Iva Wilson; • Darlene Mitton for the Expect Respect program; and • the Wellness Institute Communication Team. 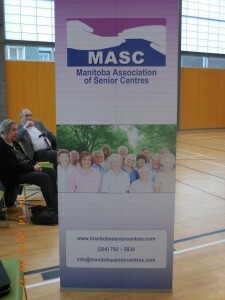 The Manitoba Council on Aging was created in 1980 as an advisory body to ensure that seniors’ perspectives are reflected in government programs and policies. 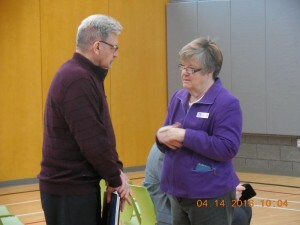 More information on the recognition awards is available at: www.gov.mb.ca/shas/manitobacouncil/awards.html. 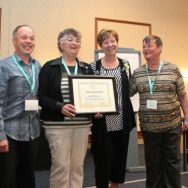 Awards for Excellence are given each year by the Long Term & Continuing Care Association of Manitoba to honour the efforts and dedication of an outstanding person, team or volunteer who has provided exceptional service to clients/residents within the long term care continuum. 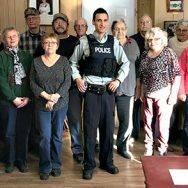 Do you know someone who goes “above and beyond” and works or volunteers in for example, a Personal Care Home, Supportive Housing Residence, Retirement Residence, (sometimes known as Assisted Living), and/or a Community or Seniors Resource Centre? Now you can let this person know how much they are valued! Hope you get a kick out of this video. We sure did! Happy Tuesday. 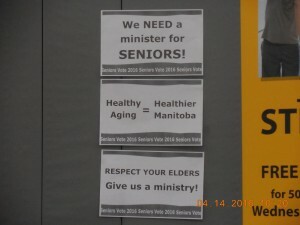 A Manitoba Liberal Party will have a minister responsible for seniors issues. We are open to the idea of an advisory council. To ensure that all Manitobans with disabilities can participate fully in election activities and that those who are eligible to vote are able to do so. You are invited to join us for a press conference to announce all five key priority issues. CLICK HERE for more information. For your enjoyment and sense of fun today! 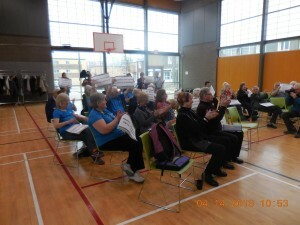 Keeping active with the world’s oldest flash mob!